JPG loves a good vintage wedding, but this couple definitely took the theme to the next level. 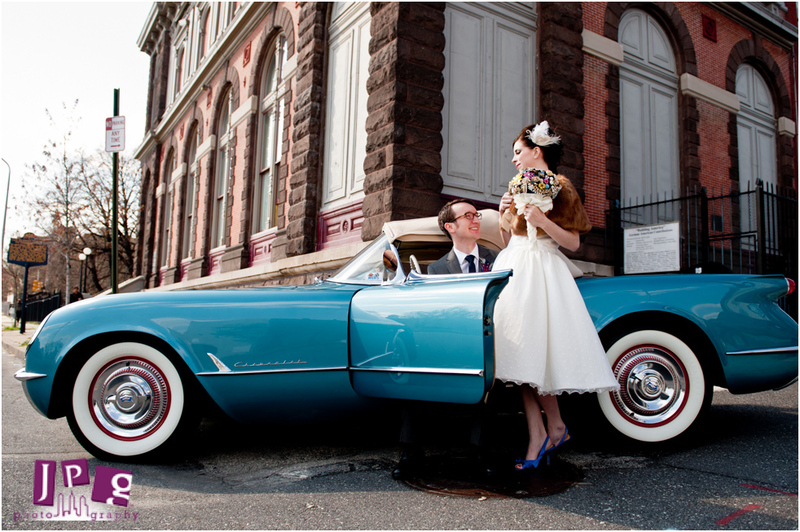 Held at the German Society of Pennsylvania on Spring Garden Street in Philly, Lindsay and Brian’s wedding was complete with a two-story library, 50’s style dresses, and a vintage car! The bridal party began the festivities by getting dressed in bright, 50’s inspired dresses with curled hair. 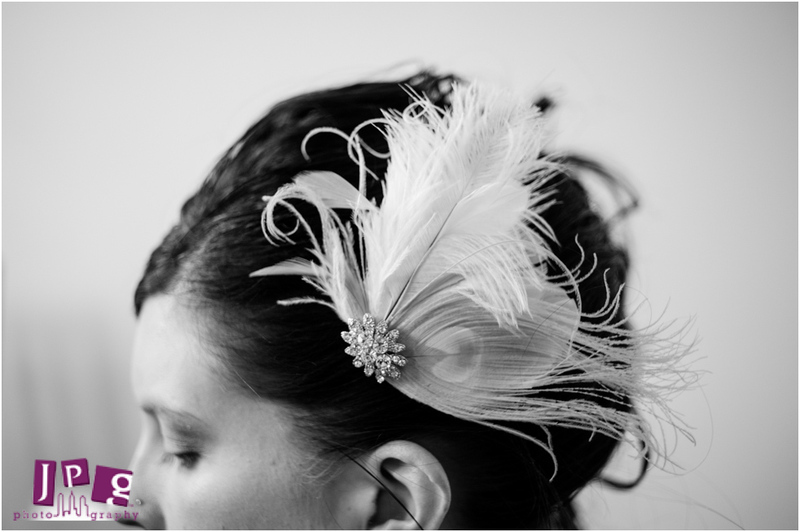 The bride’s short, white dress was sassy, made complete with a white feather headpiece. Lindsay was full of nervous energy before seeing Brian for the first time, but their first look instantly put her at ease. 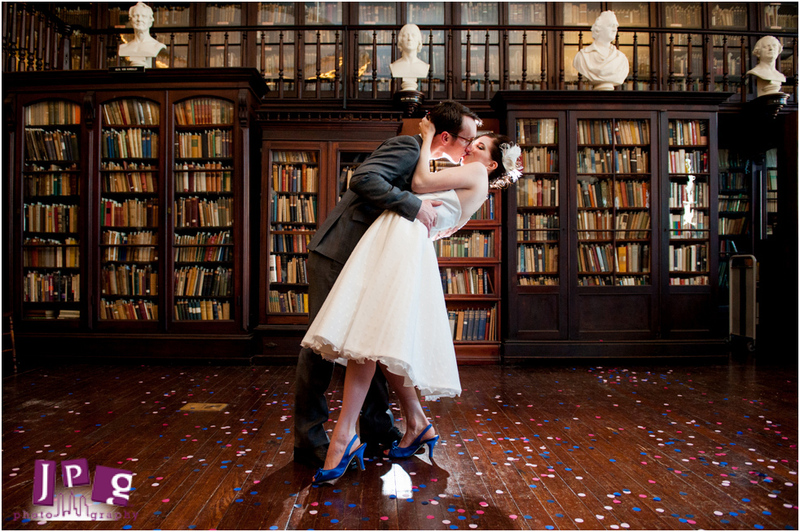 The couple’s ceremony was held in the German Society’s library where we loved shooting with the books as a backdrop! The bridal party recited lines from one of the couple’s favorites, Sandol Stoddard Warburg’s “I Like You.” We were all laughing during the ceremony at a comment made about Lindsay’s appreciation of Brian’s proper grammar! 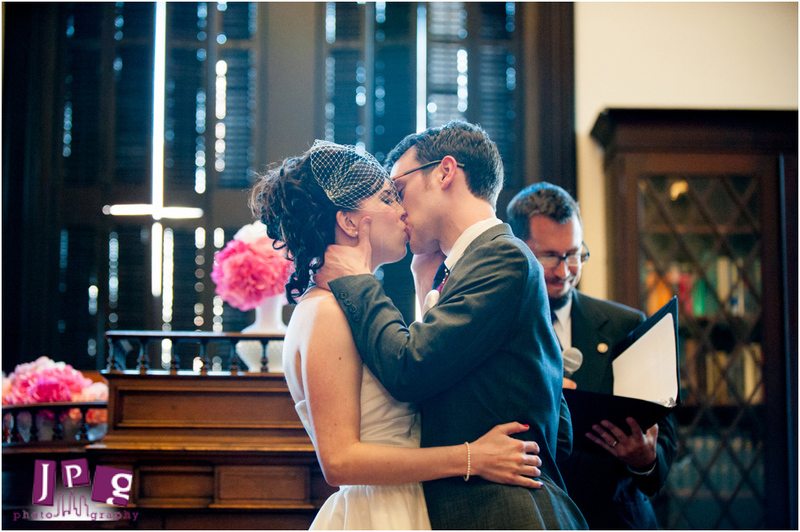 Along with the library shots, we captured the couple with an awesome, vintage teal coupe! They enjoyed laughing and kissing behind the wheel. At the reception, Lindsay and sisters performed an Irish dance that everyone loved. Books were also present as centerpieces on their tables. Although the theme of this couple’s wedding was vintage, love was fresh in the air. It was clear that everyone was having a great time celebrating the newlyweds. Thanks to both Lindsay and Brian for including us in your special day! Many blessings for your future.